The Renegade Tactical Steel G4 Panther is a fixed blade knife perfect for taking on a camp out or your next top secret mission. 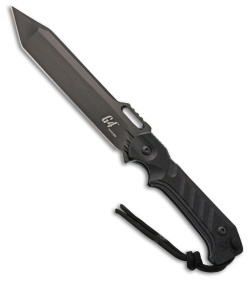 The full tang 420 stainless steel, tanto blade has a black finish and a lashing slot. The handle is made of black G-10 that features a finger choil and a lanyard hole. 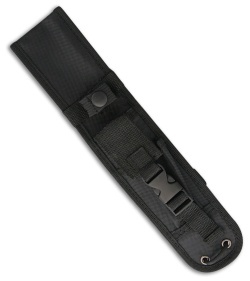 It comes with a lanyard cord, and a black nylon belt sheath with a storage pouch, black nylon cord leg ties, and a protective insert.